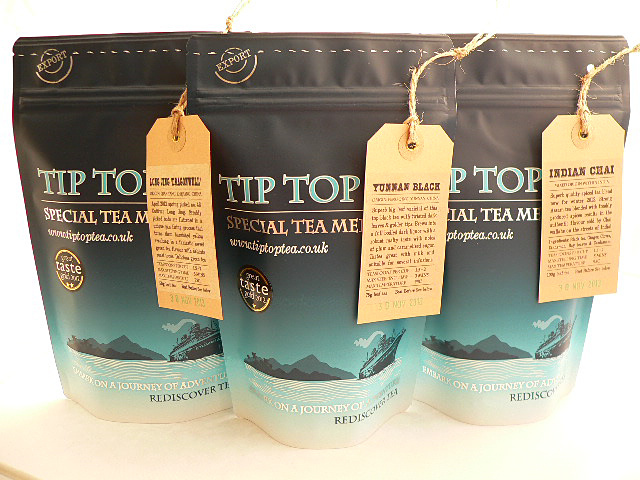 Our 3 teas giftset allows your personal selection of three of our superb teas! 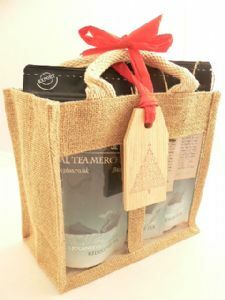 Featuring a selection of our popular teas and presented in our rustic natural Jute giftbag with window, bright red ribbon, and luxury blank wooden gift tag. Makes a fantastic tea gift for someone with a taste for the better things in life! White tea: 50g Bai Mu Dan #1 - Superb honey tasting white tea grown in Fujian, China, spring 2016 picking. Green tea: 50g Akarui Aracha - Delicious organic green tea from Japan, spring 2016 picking. Oolong tea: 50g Golden Lily oolong - Quality oolong blend of 2 Jin Xuan oolongs from Vietnam & Taiwan. Black tea: 100g Big Breakfast - our superb high quality take on the English Breakfast classic. Black tea: 100g Earl grey bluestar - using 100% real bergamot oil with a fruity Ceylon black tea base. Herbal tea blend: 100g Turkish apple - fruit tea blend. Herbal tea blend: 100g Orange, Grapefruit & mint Rooibos.